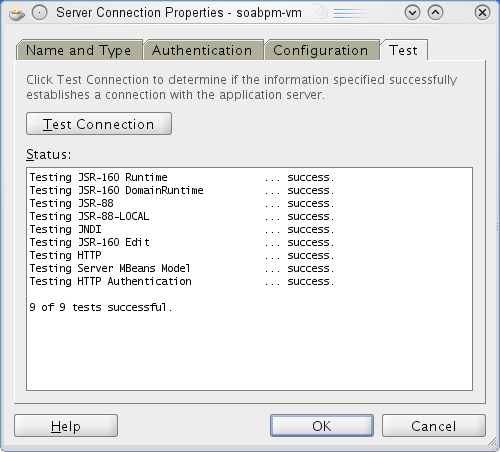 I' m working with the "Pre-built Virtual Machine for SOA Suite and BPM Suite 11g" for a while now. 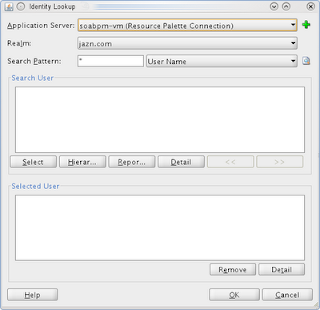 I use it to prepare for SoaSuite and BPM Bootcamps and one thing I try to do is to use JDeveloper 11g on my Host (OpenSuse 11.2) and connect to the application server in my VirtualBox guest. In fact, that would (probably) be the architecture to use in a real developer environment. So the ip-address of my vm is '192.168.56.101'. Mark the Realm "jazn.com" automatically populated. After a while I noticed 'AdminServer [localhost:7001]'! That's not where I want to connect to! And it is certainly not the host I applied in the Jdev Applicatioin Server dialog. Apparently the AdminURL of Weblogic is not correctly set during startup. This is set in the config.xml. As always it is good practice to backup the config.xml. And after the change of course you'll need to restart the weblogic server. But then the connection to the AdminServer will work, the realm can be queried and deploying will work. Important lesson: the hostname in the setting above should not be localhost, but a meaningful host name.that can be resolved on both the SoaSuite server as well as the Client running JDeveloper. Nice article from my experience this error also occur when you try to connect remote JVM and its not running. see here "Failed to connect to remote VM. Connection refused" or "Connection refused: connect"
If you select Host only network for dev (virtual) machine, weblogic and soa stack shall not be able to connect to outside world. Just wondering what was your experience? Just wondering if host-only option worked for you. If we select host-only network, weblogic and soa stack shall not be able to communicate with outside work. Host only is meant to work as a network that is confined to only your host-machine. Through that netwok al the VM's running on your host that have a hostonly adapter will be able to connect to each other. Also your host is reachable. It has an address like 192.168.56.1, where the .56. may vary between installations. For me that suffice. The pro's of the host only is that a request between your host and the VM's or the VM's between each other won't have a round trip through your external router. Also the host only network is up when you're on the move with your laptop(and have no physical network ocnnection). The first is the simplest. It shares the ip-address of your host. That means that it cannot respond to requests from outside your host to your VM. For that purpose the Bridged Network adapter is meant. This means that the VM gets an ip-address that is reachable from outside your host. So to the network it responds as a standalone PC. Now I often use a combination of host-only and a bridged. That means that when I'm connected, the VM is connected externally as well. 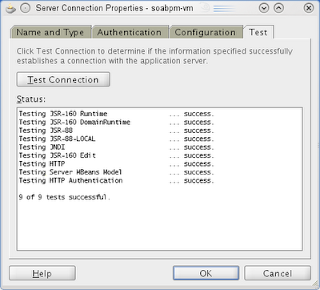 But on the road, the VM is still reachable through the host-only network. In that combination you might need to look into your routes. 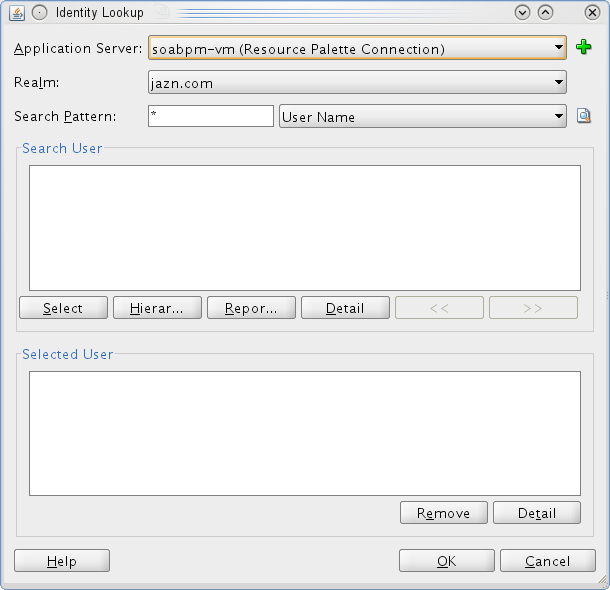 See the routing tab in the Networking Administration tool. The host-only adapter (eth0 if it is the first in row), needs to be routed for only the request within the network. In Oracle Linux6 there is a checkbox for that. Otherwise your requests to www.oracle.com for instance might be routed to your host only network adapter instead of your bridged. I keep struggling with my VB image of soa suite and connecting to it from a remote JDeveloper. Somehow I cannot get it to work anymore like I have done before. I set up the hostfiles as you have done. When I go to soabpm-vm:7001 I get the soasuite screen. However when I make it soabpm-vm:7001/em it redirects to www.soasuite-vm.site:7001/em and it doesn't find a page.